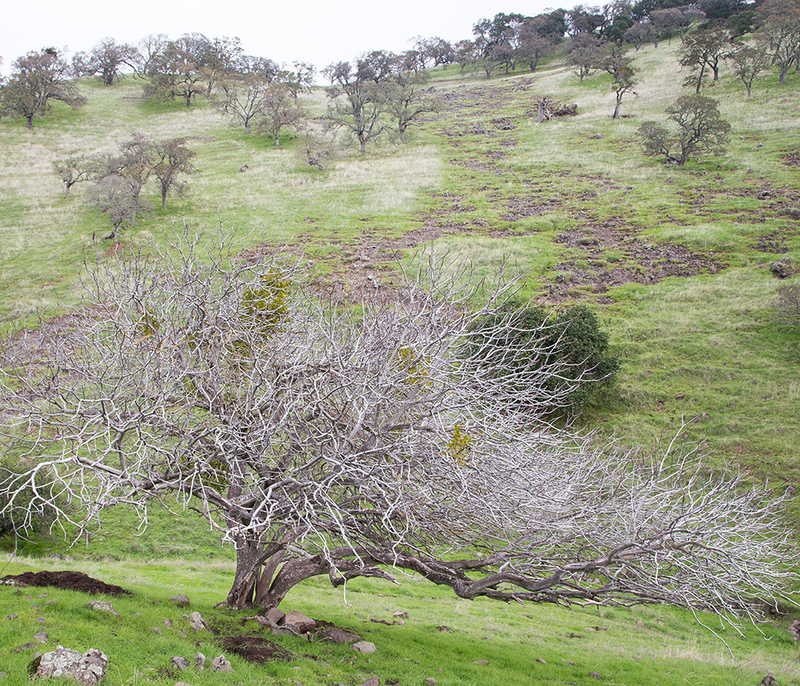 Rockville Trails Preserve epitomizes the beauty, rural character and quiet splendor that is Solano County. 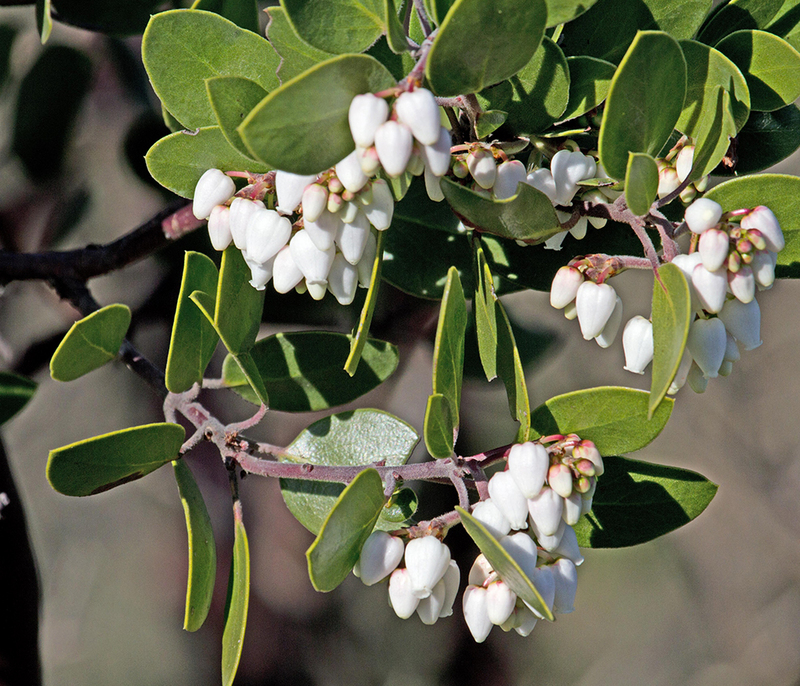 Filled with stands of blue and live oaks, temporal vernal pools, wildflowers and wildlife, Rockville Trails Preserve's 1,500 acres provide a connection to our past and a vision for our future. As you explore this land, it is easy to imagine a time when Patwin Indians walked the oak forests and stood on the highest mesa to look out over the valleys below. The forests, rugged hills and high ridges that they saw hundreds of years ago are largely unchanged. 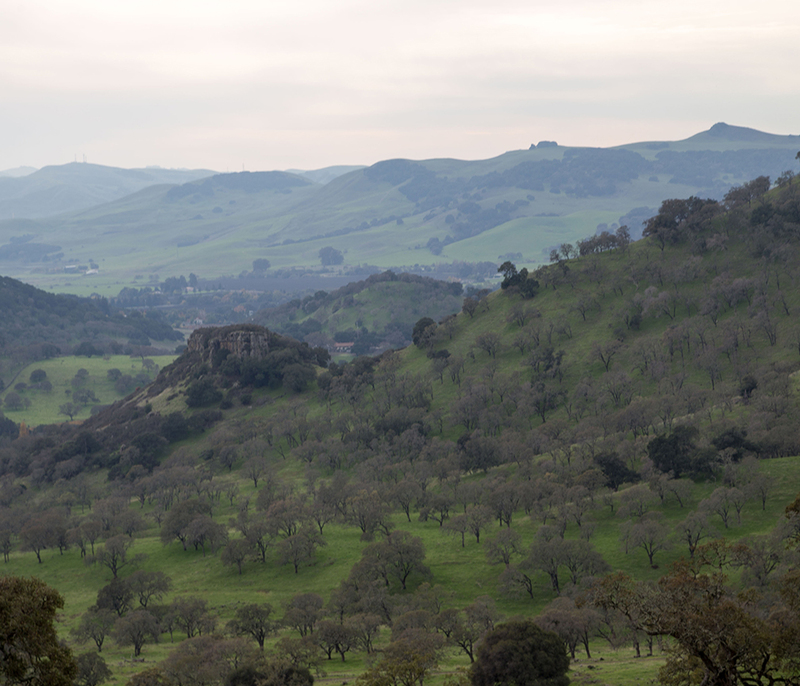 This new natural park will be the gateway for visitors from the local community, the Bay Area and the Central Valley into the western hills of Solano County and beyond. 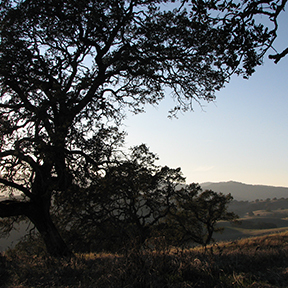 Solano Land Trust will preserve and protect Rockville Trails Preserve and its biological and cultural resources for generations to come. We value sustaining agriculture on this property and foresee compatible public access, education, and scientific discovery as a means to connect this land with our community. When will I be able to get on the property? 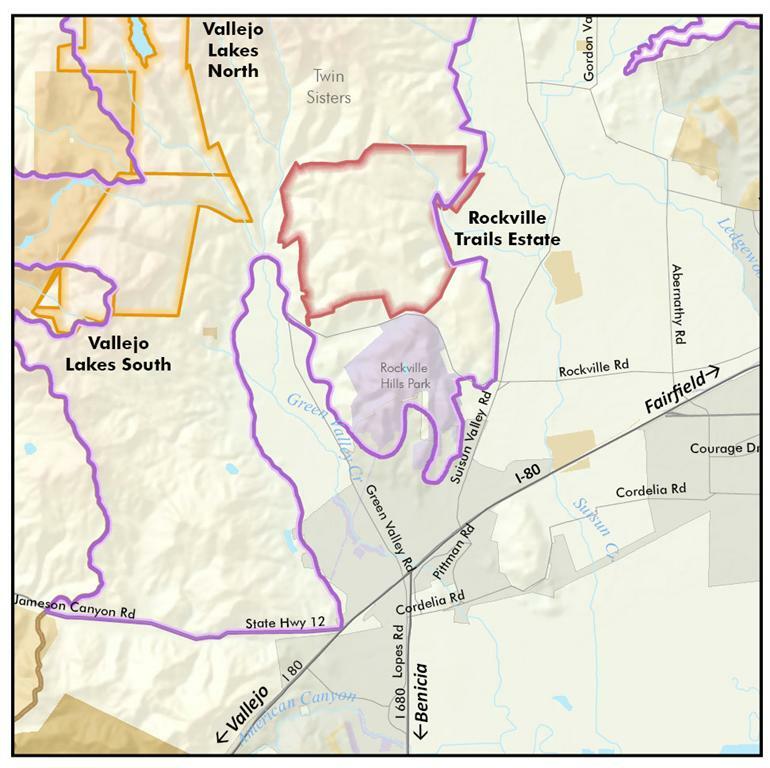 You are welcome to join a guided tour, led by a Solano Land Trust Rockville Trails Preserve docent. These docents are volunteers who’ve gone through extensive training to lead you on fun, safe, and informative tours of this new natural park. See our Events Calendar for docent-led tour schedules. We are not able to let individuals or groups visit the property unless they are accompanied by a Rockville Trails Preserve docent. 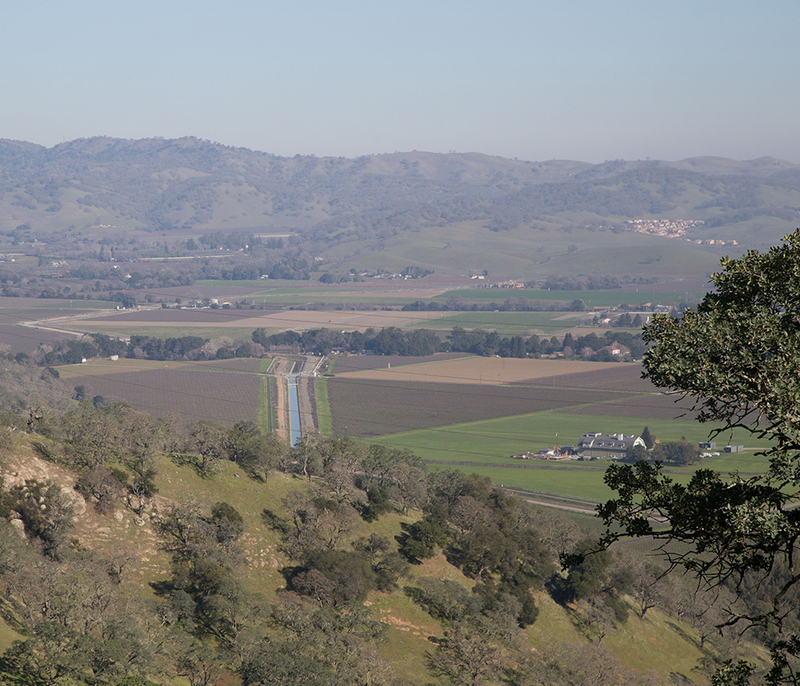 We cannot open the preserve to the public until we have approval from the California Environmental Quality Act (CEQA), and we have built a CEQA-approved parking lot and restroom. 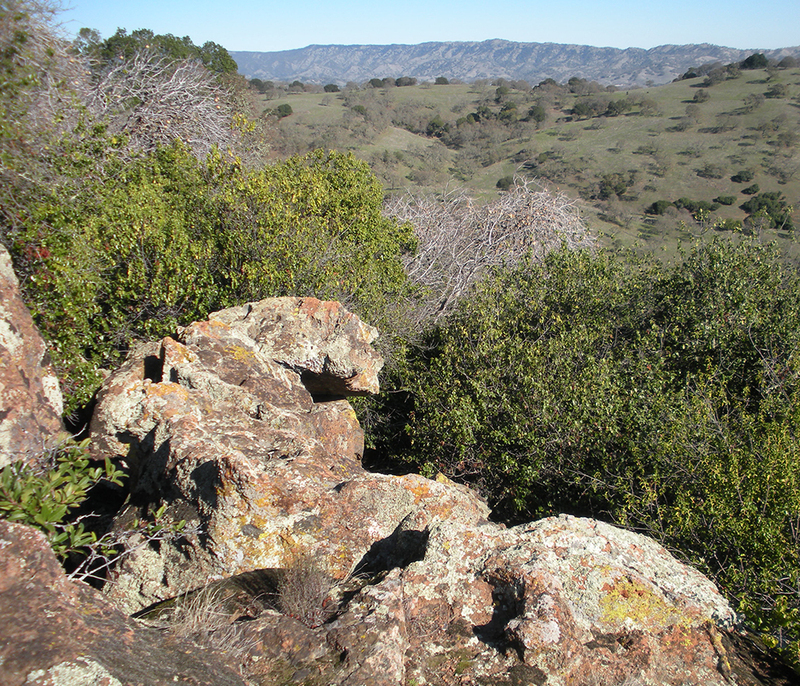 How can I become a Solano Land Trust Rockville Trails Preserve docent? We will be glad to add you to a list of people who want to be trained to take a group out, and we will contact you when the time is right. Can I take my horse through my personal gate onto the property? At this time, no one has private access due to liability and resource protection. Will hikers, bikers and equestrians all be using the same trails? Some of the existing ranch roads will be used jointly by all users, some are user-specific. The trail planning committee took specific user groups, as well as habitat, into consideration when designing the trails for maximum safety and enjoyment. What are the hours the preserve will be open? As resources are identified, we will determine the optimum days and times that the preserve will be open. Can I carry a gun/weapon when on the property? No, weapons are not allowed on Solano Land Trust properties. Can I hunt on the property? We do not allow hunting on our properties. Will dogs be allowed on the property? Our funders restrict us from allowing dogs (or any pets other than horses) on the property. Will overnight camping be allowed on the property? Due to fire liability, no camping will be allowed. I don’t want trails near my property. Great care will be taken when designing the trails to ensure they are safe and don’t impede on natural resources that have high conservation values. We cannot guarantee that the final trail system will not be near personal property. I’m worried about erosion from trails and having it affect my property. As stewards of the land, we will take every precaution to ensure there is minimal damage to the property and will not place trails where erosion is likely to occur. I’m concerned about trespassing; who will be “policing” the property? We are asking everyone to be our "eyes and ears" until we have a solution to monitoring the property on a routine basis. We are investigating several possibilities to make sure the property is safe and secure. There is a fire lock on both gates so the fire department has access to the property and we are working with the Cordelia Emergency Response Team to ensure we have the proper protection in place. Will there be a park ranger? We are researching the best model to use to make sure the property is safe for our visitors and neighbors. Will the cows be in the same area as people? 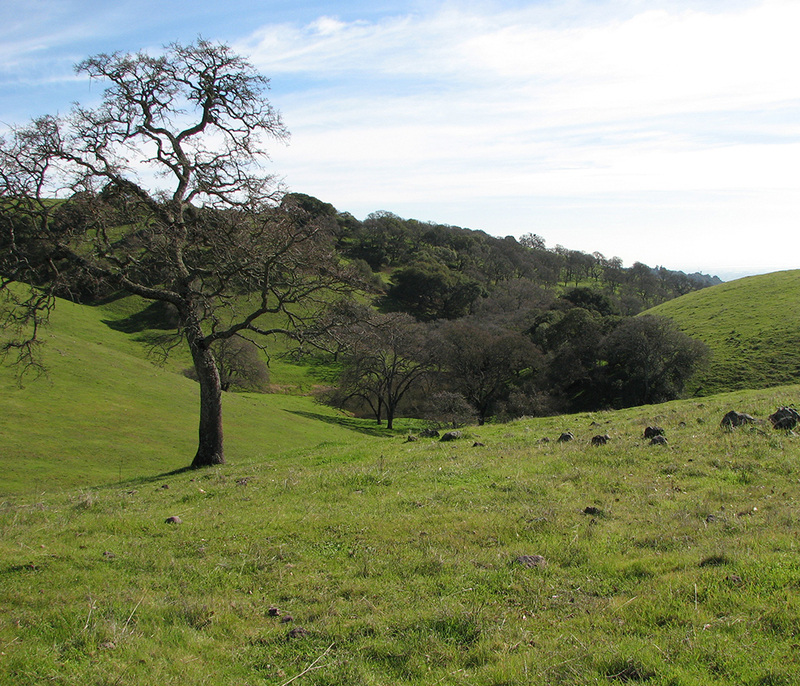 All of Solano Land Trust properties are grazed with either cows or sheep. Rockville Trails Preserve will continue to be grazed. Will there be a bathroom on the property? A restroom is planned at the staging area/parking lot. Will there be room to park my horse trailer? Current plans allow for horse trailer parking when we open to the public. Will I have to pay to park? We will be in alignment with similar local and regional parks. How can I get from Rockville Hills Regional Park to Rockville Trails Preserve? Currently there is not a safe way to cross the road and we do not encourage anyone to walk across Rockville Road. This is being discussed with various agencies. Please see our Events Calendar for scheduled activities. You can send an email to us at info@solanolandtrust.org with questions or concerns.